You can also perform a more selective search for churches in the Winceby area or see them printed on a map. The Anglican parish church is dedicated to Saint Margaret. The church in 1842 was a small thatched building. In 1866 a new church was built to replace the small, thatched building. It allows 84 seatings. David HITCHBORNE has a photographs of The site of the former Church of St Margaret on Geo-graph, taken in June, 2007. The Anglican parish registers date from 1579. Winceby is a small parish in the Wold hills, about 5 miles east by south of Horncastle, 5 miles northwest of Spilsby and about 12 miles due south of Louth. Mareham on the Hill parish lies to the west and Hagworthingham and Lusby parishes to the east. The parish covered only about 890 acres in 1842, all in one farm occupied at the time by Charles HILL. In 1872, the parish is recorded as only 842 acres, and by 1900 at 853 acres. Ask for a calculation of the distance from Winceby to another place. You can see the administrative areas in which Winceby has been placed at times in the past. Select one to see a link to a map of that particular area. Richard CROFT has a photograph of Slash Lane on Geo-graph, taken in March, 2009. David HITCHBORNE has a series of photographs of the Battle of Winceby re-enactors on Geo-graph, taken in October, 2003. In 1872, the principal landowner was Charles HILL, who had purchased the parish land from Charles MANWARING. In 1882, the principal landowner was John HILL, nephew of Charles HILL, above, who died in 1875. In 1900, the principal landowner was W. D. ROGERS. In 1913, the principal landowner was Edward PATCHETT. 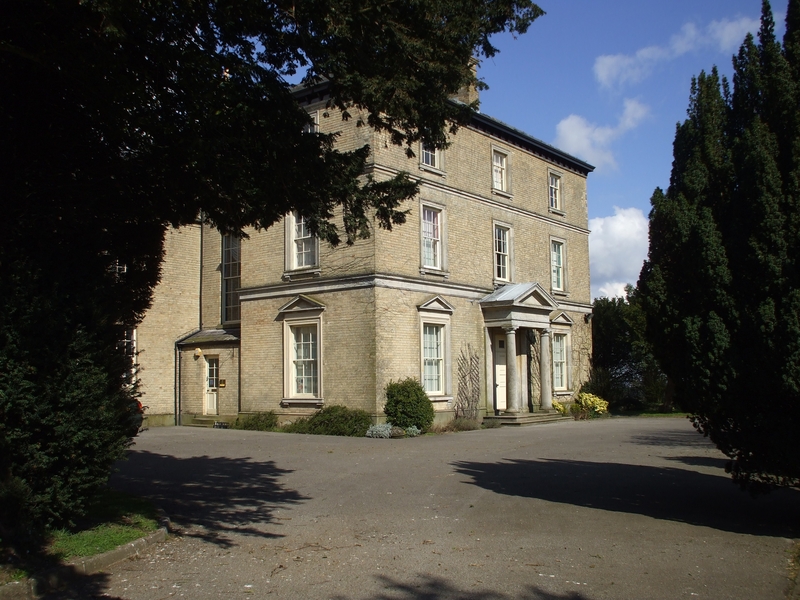 Winceby Hall is mentioned in 19th and early 20th century directories, but no details are provided. It is sometimes listed as just Winceby House. The Battle of Winceby was fought just west of here on Wednesday, 11 October 1643. Cromwell's Parliamentary forces defeated the Royalists. The scene of the battle is called "Slash Lane" to the present day. Colonel Cromwell'is horse was killed under him at the first charge. But Cromwell's forces won the battle, taking eight hundred prisoners and capturing twenty-six colours. Chris has a photograph of the Battle of Winceby Memorial outside Winceby Hall on Geo-graph, taken in October, 2013. John Edward SEWELL, priv., 6th Btn. Lincs. Regt., age 19, died 29 Dec 1915. Son of John and Mary Ann SEWELL of Scrafield, LIN. White's 1872 Directory lists the following people in the parish: Charles HILL, Thomas HOYES and the Rev. Wm. Wordsworth TALFORD. White's 1882 Directory lists the following people in the parish: John HILL, Isaac WARD and the Rev. Elijah Edward Baylee SALISBURY. Kelly's 1900 Directory lists the following people in the parish: Edward CONINGTON junr., farmer, and Edward PATCHETT, farmer. Kelly's 1913 Directory lists the following people in the parish: Charles ABBOTT, farmer, and Edward PATCHETT, farmer. This place was an ancient parish in county Lincoln and became a modern Civil Parish when those were established. The parish was in the ancient Hill Wapentake (Hill Hundred) in the East Lindsey district and parts of Lindsey. The children of this parish attended school in Lusby parish.